I fell in love with the milkshake clutch as soon as it appeared on the New Look website and bought it asap (which was a bit of a shame as it later was in the sale), but it has taken me forever to wear it! First I didn’t have any occasion to wear it to and then it got to being winter and I thought it would suit a spring/summer look more. Finally, I decided enough waiting and just went for it. 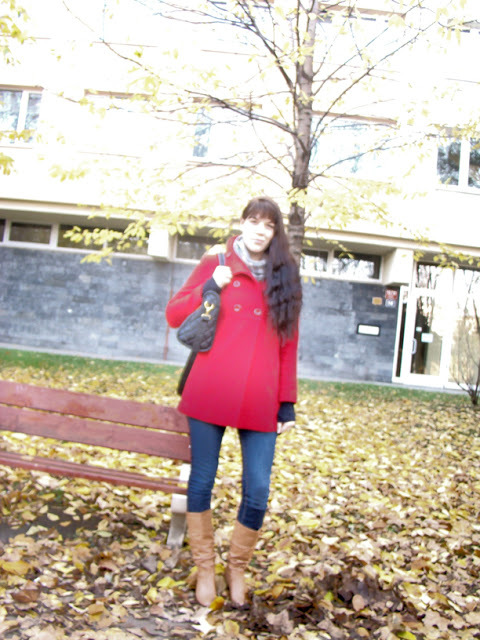 Camaieu 60’s-esque red winter coat – bought in 2011 or 2010. 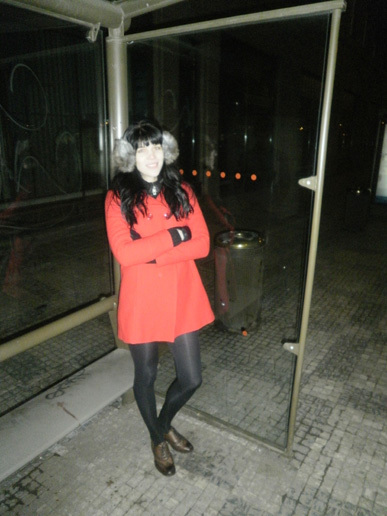 I love this coat, although in all honesty it could be a little bit warmer. But still, the shape and color are perfection and I love wearing it. Zara oversized knitted scarf – bought in 2009 (more about it here). Zara black and white lace-less brogues. Bought in 2011. I took the laces out myself as I think they look better without. I haven’t worn them that much but that’s mainly due to the fact that they are prone to make blisters, ouch. 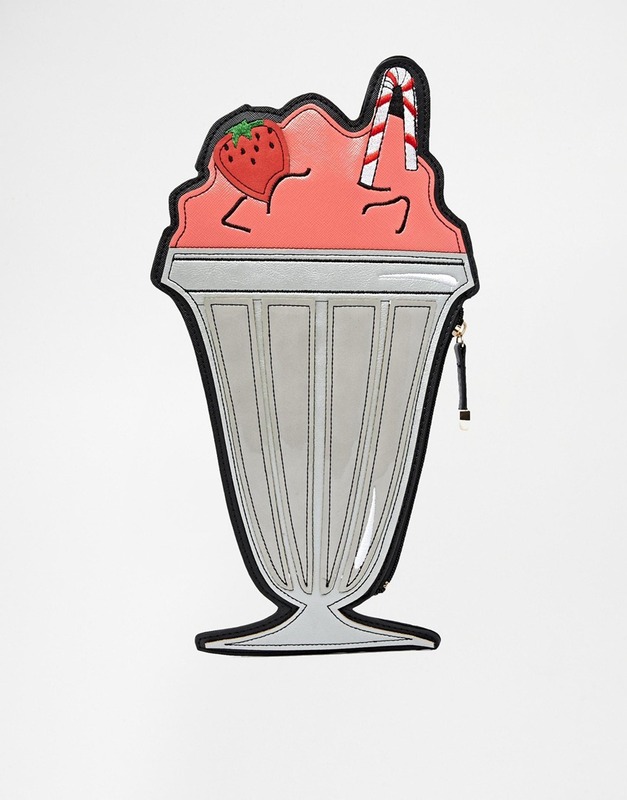 New Look milkshake clutch – bought 2014, worn for the first time. 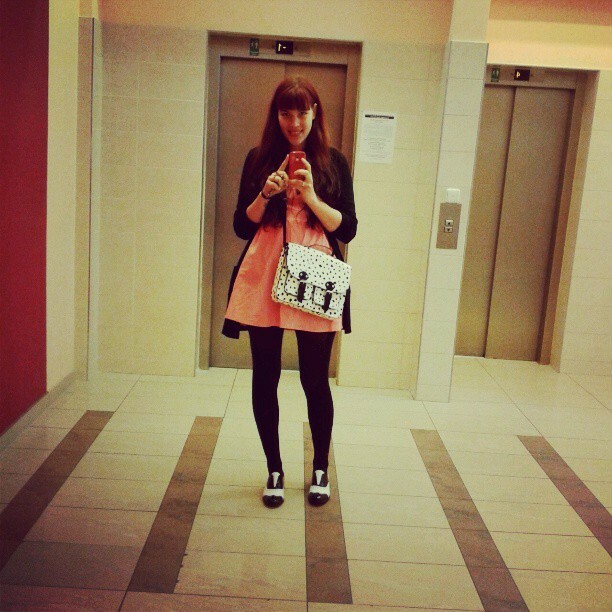 Pop Boutique sleeveless swing dress in stripe bought in 2015. One of my favorite 2015 purchases (and one of the cheapest too as it cost me only £6.50). I have a feeling this dress will get a lot of wear in the spring. I really love it and I knew once it arrived that I wanted to wear it with the milkshake clutch for a slightly retro feel. 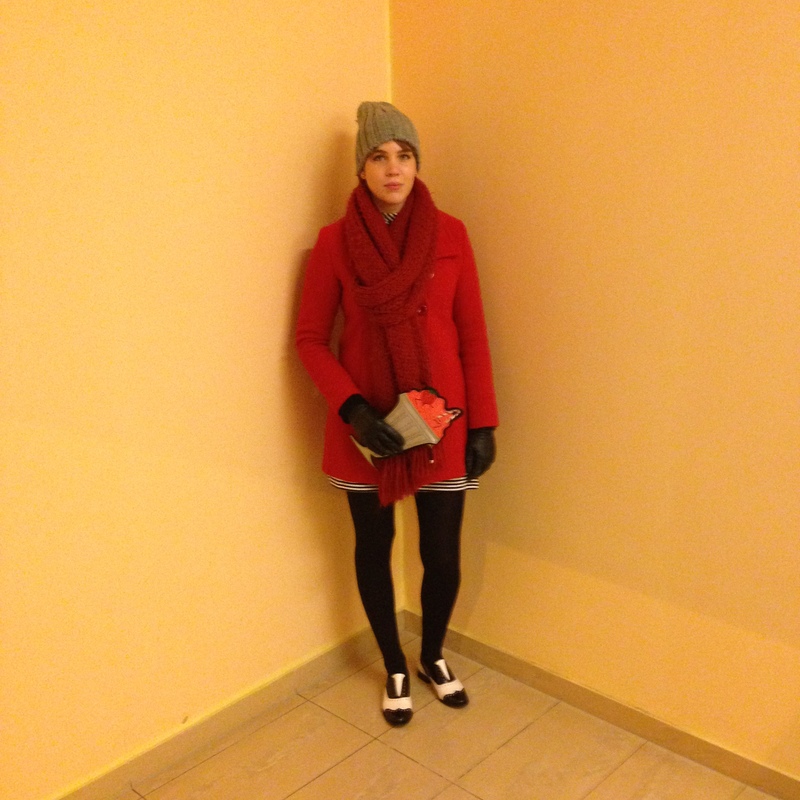 I wore this outfit to a dinner out to weeks ago and it was the perfect amount kitsch and matchy-matchy to suit my current style. *I’m not sure when the next post will be up as I have an essay due today and an exam this Wednesday, so you’ll have to bear with me but fingers crossed, I might manage 🙂 Wish me luck, xox. Oh good luck with the exam. 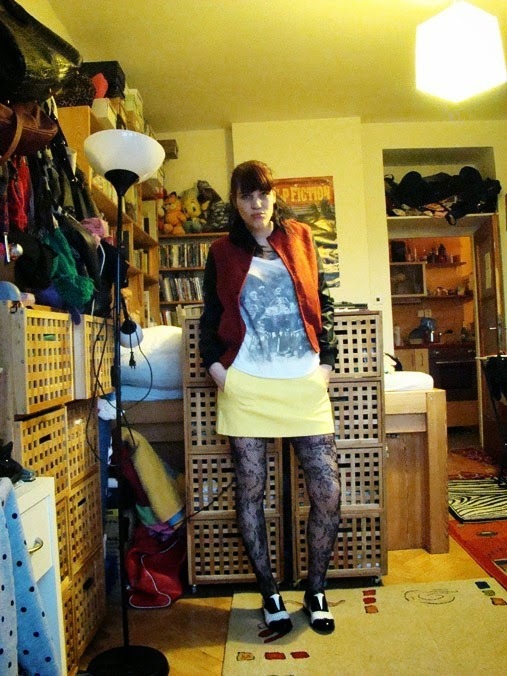 Cool retro outfit, I like it.